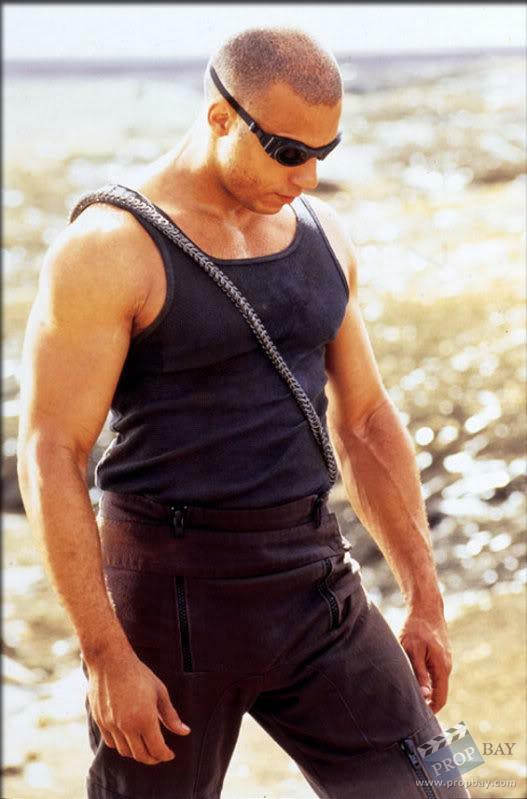 This is Vin Diesels original screen used costume from the 2000 sci-fi/horror hit 'Pitch Black'. 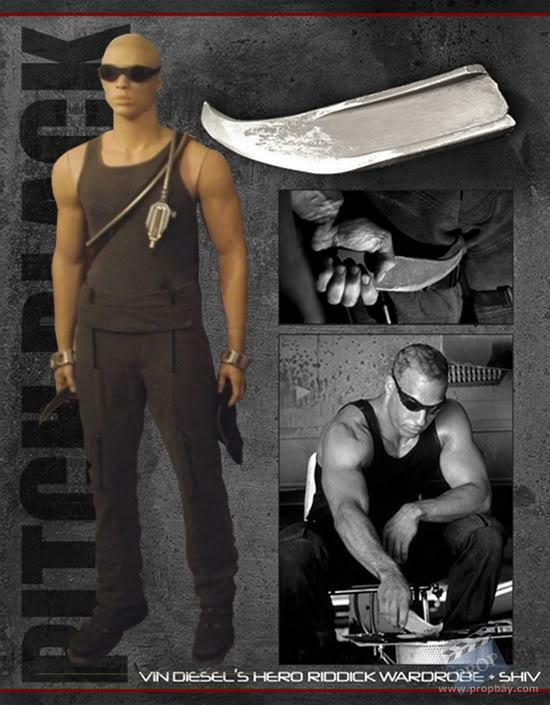 It's parts were custom made for the production and consist of a grey vest, cargo trousers, boots & goggles and is displayed with Riddicks Hero metal 'personal grooming appliance' shiv from the movie. Added: 11-29-2011 - Viewed: 2936 times.